Important Things for Adult Children to discuss with their parents! No doubt, as children, your parents occasionally sat you down for “a talking to.” Now you are grown, is it time for you to reverse the situation and sit your parents down for a talk? Talking about important issues with loved ones who are growing older can be difficult. A sudden crisis, be it a health issue, the death of a spouse, or even just the discovery that Mom or Dad is beginning to struggle with the activities of daily living, is not the time to begin such discussions. Waiting for a crisis is not a good planning strategy – it is much better to bring up these subjects before any crisis arises. By keeping it casual, Mom and Dad won’t be overwhelmed and you’ll just be letting them know how much you love them and are concerned for their ongoing welfare. Helping your parents plan is not only important for their well-being as they age, but will also help you in your own financial, emotional and physical health as well. Living options—Do your parents want to stay in their current home for as long as possible, or are they considering “downsizing” or moving to a retirement village community? Whatever their plan, encourage them to talk about what they would like to do if they were to experience a decline in health and begin to need greater help with the activities of daily living. Home modifications—Is your Mom and Dad’s home keeping up with their needs? Are there modifications or repairs that could be done to make their home a safer and more convenient environment for them? A plan to stay physically active—It’s well known that physical activity is one of the most important factors in staying healthy into old age. If your loved ones have become a little sedentary, try encouraging them to add more exercise to their lifestyle. 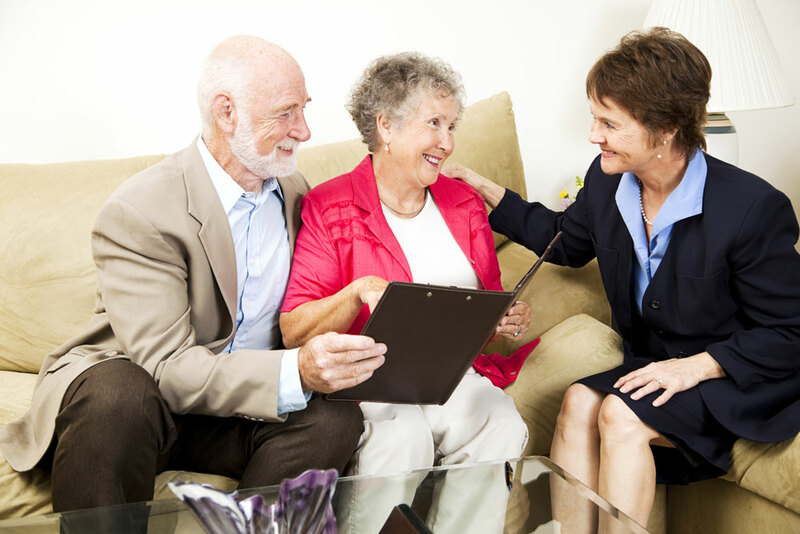 Estate planning—Do you know if your parents have an up-to-date will? If not, and their plan is to pass property to family members, encourage them to talk to a financial advisor about the best way to go about it? Also, it is very important to find out how their assets can help provide for their own care in case of a decline in health or incapacity. Advance healthcare planning— Have you ever discussed with your parents what their wishes are if they were to be incapacitated and unable to make their own healthcare decisions? Have they, for example, considered making a living will, or have you talked about arranging a power of attorney, should it become necessary? Fall prevention— Many older adults are reluctant to discuss the topic of falls, but they are one of the leading causes of incapacity. Fall protection is actually an important part of planning for the future and one where proactive steps can be taken to minimize them happening. Avoiding crime and fraud—Very sadly, vulnerable seniors are often the target of criminals and con artists. Unethical sales methods and scams deliberately aimed at older people can cause serious financial loss. Not surprisingly, older people who have been victimized in this way often feel too ashamed to discuss the incident. Help to make sure that your parents stay safe from such unscrupulous activities by taking time to educate yourselves as a family about crooked sweepstakes, identity theft and the like. These suggestions are offered just to provide a framework for you and your loved ones to talk and plan together, so that you are all able to live life as fully and joyfully as possible. We hope you find them a helpful starting point.